Do little things annoy you? 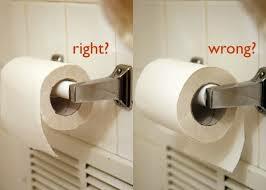 Does your partner put the toilet roll in the holder the wrong way round? Do you resent having to join a short queue in the local shop? 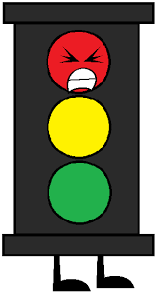 Do you find yourself irritated when the traffic lights change to red just as you approach them? These are all things that fail what might be called the “test of time”. What difference will they make in a year’s time? Come to that, what difference will they make in a day’s time? Or even an hour’s time? No difference at all, of course – so why do they annoy you? The answer is, I think, that they don’t really annoy you. Yes, you get annoyed, but that’s not about which way the toilet roll is facing. Really you are annoyed about something else – something more important. Perhaps you feel, deep down, that your partner doesn’t care about your feelings and doesn’t listen to you – and the wrongly-hanging loo roll is a sign of this. Perhaps you are feeling put upon by friends and relatives, and that you never get any “me” time. So standing in a queue at the shop is one more thing that leaves you feeling that there is too little time in your life – that you have too little control. If little things annoy you all the time, you probably need to try to look below the surface to understand what’s really going on for you. But for most of us, these things are not a continual annoyance. We are not tormented by the traffic light goblins who wait for us to approach before switching to red. We do not spend our lives taking the loo rolls out of holders and turning them round. For most of us, little annoyances are occasional things. Mostly I don’t mind queuing but sometimes I just can’t face it. Why is this? Why do these things annoy us sometimes and not others? Often, the answers are obvious – we are annoyed by the traffic lights because we are running a little late, for example. But even in this simple example, we can go deeper. Why does being a little late matter to us, when for other people, being late is not a big deal? – indeed for some it seems to be a way of life. So to understand why little things annoy us sometimes we need to look deeper – perhaps our cultural background has something to do with this – perhaps we are still influenced by our parents’ standards of punctuality, or tidiness, or whatever it might be. Usually, the reasons for our annoyance lie in the past. But sometimes, curiously, they lie in the future. I remember talking to a client who found herself irritated by work colleagues who were resistant to change for no good reason. They had always been like that – and she had worked with them a long time – but her irritation was new, or at least much more intense than it had been in the past. 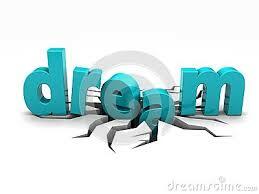 She had put up with it for years, she realised, because it fitted with her vision of the future. The plan was that she and her partner would stick with well-paid but stressful jobs for five more years before setting up their own business – but the sudden end of her relationship meant that this dream was no longer going to become reality. And this meant that she no longer needed to stay in her job – it was no longer part of the future plan – and so the minor irritations it brought became much less bearable for her. This entry was posted in Understanding and tagged annoyance. irritation, Future, lateness, past, relationship, time, understanding. Bookmark the permalink.